Anyone who knows me will have noticed by now that a major character in my life has been missing from this blog: Food. Yes, my favorite thing in the world has gone unmentioned because, while I loved the sights and people and culture of Indonesia, I found that the food didn’t knock my socks off. I got into the Nasi Gorings and the Pisang Gorangs (that would be fried rice and fried banana to those of you who inexplicably do not speak Javanese) — but, as they say, it wasn’t anything to write home about. When I crossed the border into Malaysia, however, I found enlightenment. Where did I find it? In the form of cheesy crabs. What is a cheesy crab you might ask? Well, it’s very simple and yet while you’re eating it you can’t possibly imagine ever eating anything else again. You take crab meat out of the shell. Mix in some cheese. Put the mixture back in the shell. Then bake. Whoah nelly. Daniel and I began our time in Malaysia on the island of Penang, which is known as the culinary capital of Malaysia. The main town, Georgetown, has beautiful colonial architecture and is a UNESCO heritage sight. But none of that really matters while you’re eating cheesy crab. And not just cheesy crab. We also had this dish that consisted of fresh oysters cooked (baked? fried? who knows) into an egg mixture with some herbs and a tomato sauce on top. Or, at another restaurant, we had a lemongrass prawn curry whose sauce I could have just kept eating all day. It was pure delight. After our food binge in Penang we hopped over to the island of Langkawi. This was intended to be our 2 days of ‘beach time’. Again, anyone who knows me knows that I am not one for sitting on a beach. 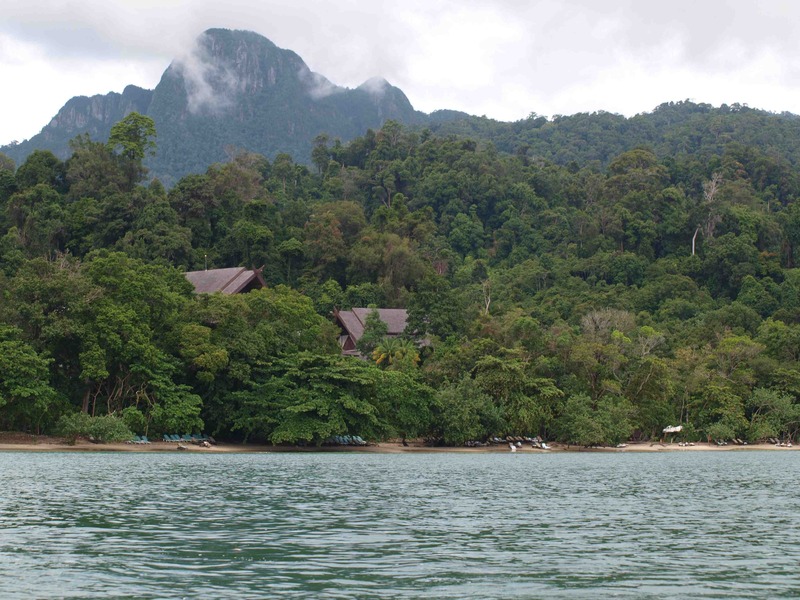 But Langkawi is a breathtaking combination of stunning beaches, towering mountains, and jungles that come right down to the surf. So while in Langkawi I mostly just read under a tree, looked at the ocean and enjoyed the moment of peace and calm before heading back into Mumbai (while thinking of cheesy crab). I’d also found some unexpected comforts here. As I’ve been away it’s been continually hard to reconcile the distance that separates me and the people I love. There have been moments where the unfamiliarity has hit me. But I was lucky enough to have a quick succession of little signs telling me that wherever I am in the world, home is always close by. My first day in Langkawi I was walking along the beach when I saw a sand dollar – it was smaller and more misshapen than the ones we find in South Carolina. But it was undeniably from the same family. A few moments later as I sat reading, I saw that the guy sitting in front of me had a shirt with a palmetto… and a crescent moon… and when he stood up I saw it read “Charleston, SC.” I struck up a conversation with him and it turned out that he had lived in Charleston for a few years and was from Virginia originally. A little piece of home all the way out here with me. I hope that moments like that can help relieve the pangs for home as my days in Asia turn into weeks and months. We left Langkawi for Kuala Lampur, a complete turnaround. KL (as they call it here) is about as modern a city as you can imagine. We pulled into our hotel and across the street I saw a mall with a ‘Forever 21’ and down the road was a Starbucks. Everything is clean and sleek and anything that hasn’t been built is certainly in the process of being built. We went to Chinatown for lunch and had another amazing meal. We had laksa, a coconut shrimp soup. We walked around the city’s Chinatown and I couldn’t stop marveling at how the old colonial architecture melded together with the shiny new. It will be an interesting juxtaposition to go back to Mumbai. But go back we will. Tomorrow night we’ll leave Malaysia and board a plane back to our new home. With our apartment (hopefully? theoretically?) ready for moving in it’ll be round two in the adventures of setting up our life. I think after our time away we’re ready to go back. We’re once again ready to let India take us in. that post has left me hungry and missing you even more. glad you guys enjoyed your vacay, safe travels back to the homeland tomo! excited for you to head back and move in.